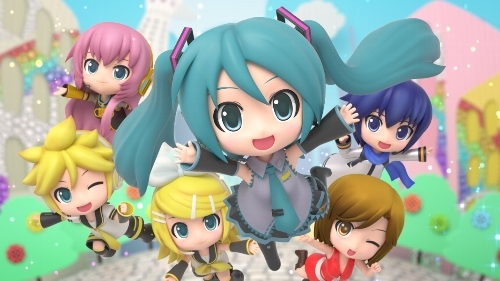 Hatsune Miku: Project Mirai DX is coming to Nintendo 3DS in late May, Sega announced today. The cutesy rhythm game styles Hatsune Miku and friends after the Good Smile Company's trendy Nendoroid figures, which explains why the vocaloid songstresses all look so top-heavy. Here I was thinking all that fame and fortune had just finally gone to their heads. Project Mirai DX will debut in North America on May 26, followed by releases in Japan and Korea on May 28, with the European launch completing Miku's world tour on May 29.